Looking to cut out dairy from your diet? Doing so can lead to less bloating, weight loss, and even a better sense of smell. But in exchange for the added health gains, you’re sadly giving up every dessert you’ve ever known and loved. Well, times have changed and people have gotten creative with how to live lactose-free while enjoying a tasty treat. Check out our fave recipes below that are bound to end up in your recipe arsenal. 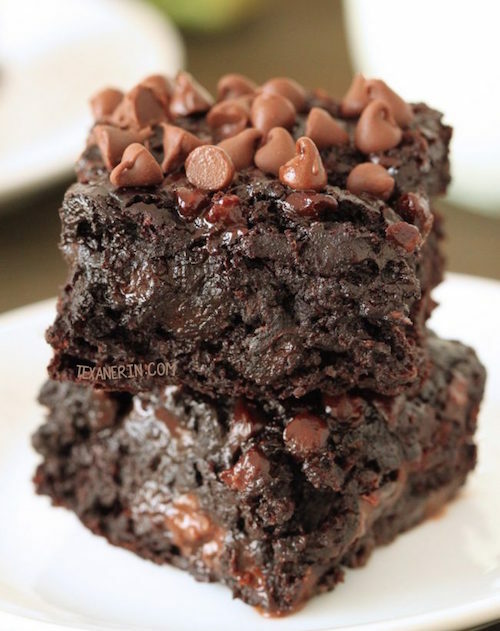 Prepare yourself for these super chocolatey brownies. Not only are they safe for lactose-free folks, but they’re also 100% whole grain and an easy way to disguise a dose of veggies. Make a pan to share with friends and don’t feel too guilty if you have a second serving. 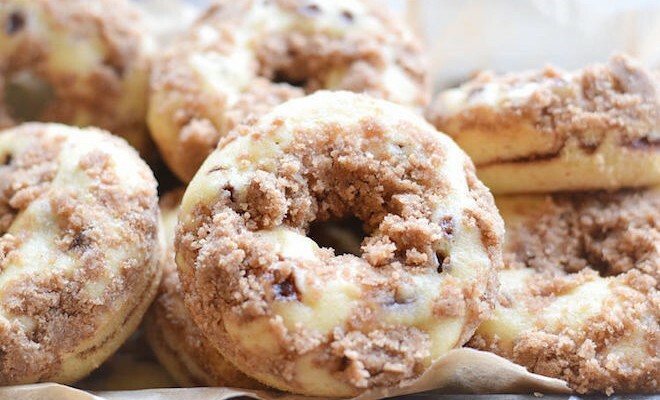 Who said you can’t have dessert for breakfast? 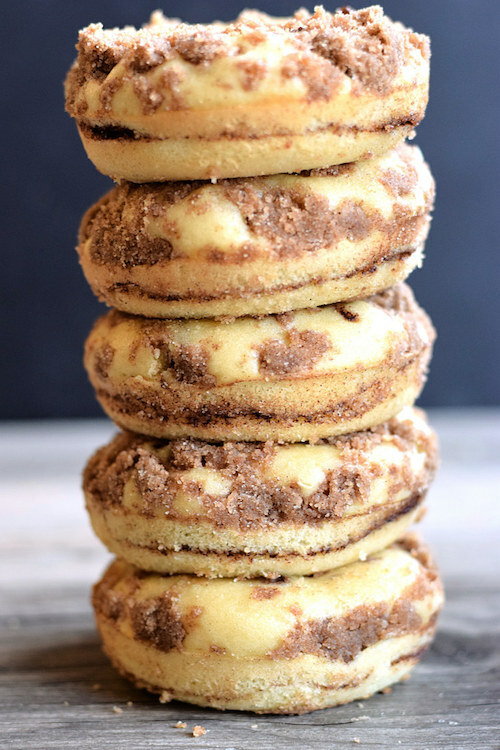 Try this fresh take on the classic donut which is baked instead of fried, dairy-free, and has a cinnamon swirl baked on the inside inside. After all, it’s definitely what’s on the inside that counts. Invite all your paleo friends over, because this dessert is sure to be a hit — and it def complies with their strict diet. Who needs dairy anyway when you have delicious strawberries, a special ingredient, and an incredible tasting base? 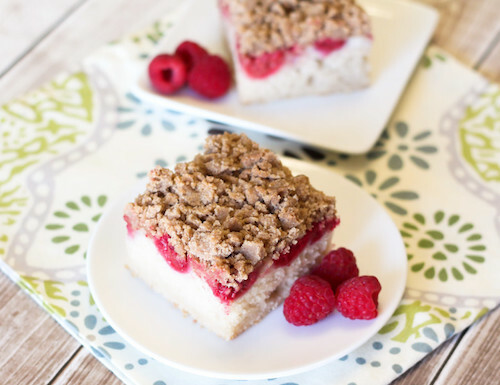 Healthy and coffee cake aren’t usually used in the same sentence, but this recipe will change that. Use your favorite summer fruits and whip up this dairy-free, gluten-free, and vegan breakfast dish! You might have missed out on the Girl Scout version, but we have the healthier version right here! This take is gluten and grain-free, dairy-free, and vegan — perfect for those who want something to nibble on without the shame. Looking for a tasty, cold ice cream without any of the dairy? Try this variation which combines the delicious flavors of blueberry and coconut with a touch of chocolate. It’ll taste amazing for when you need to cool down from a hot summer’s night! 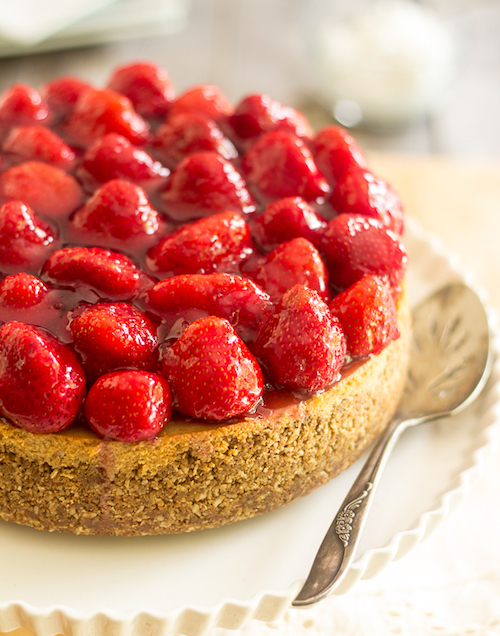 Show off your baking skills with a tasty, gourmet treat! 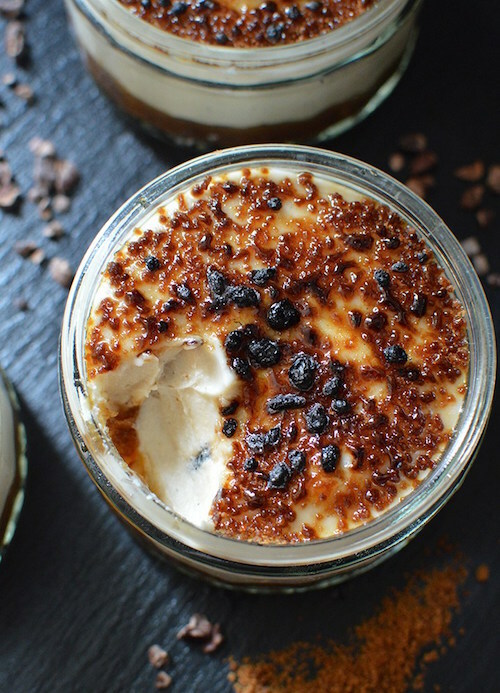 This variation mixes coconut, vanilla, and caramel to deliver a dairy-free dessert you won’t forget (or regret.) Bonus: they’re also gluten-free, egg-free, and contain no refined sugar! 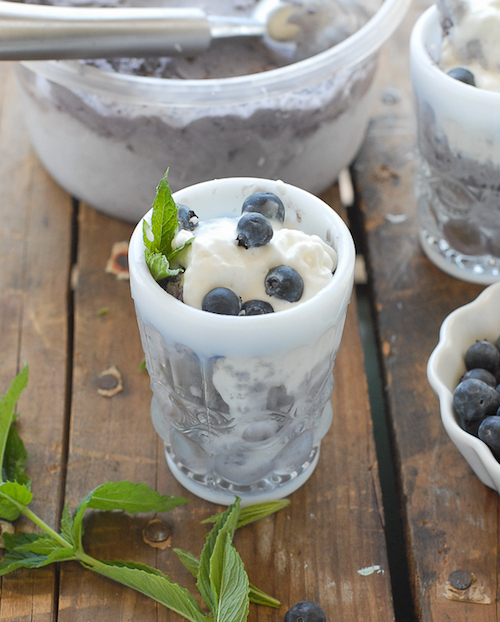 Looking for a super simple, dairy-free dessert? 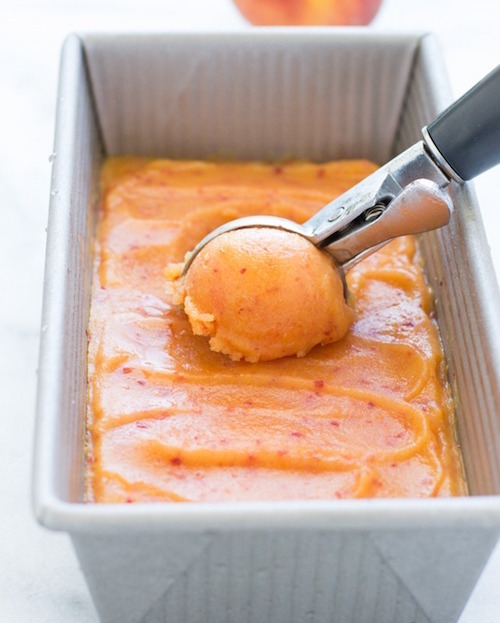 Look no further than a fresh peach sorbet. You don’t need an ice cream maker to whip this one up. Just grab your peaches, honey, and almond milk for your new favorite dish! Vegan, gluten-free, and no dairy in sight? Count us in. 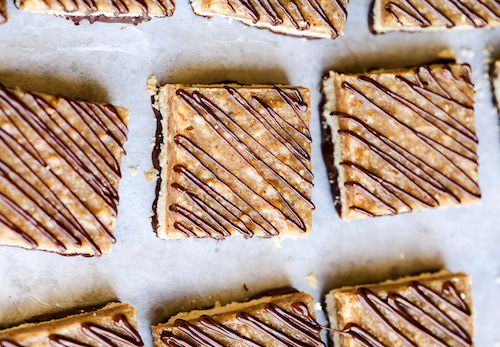 We’re ub-sessed with this homemade, healthy take on a restaurant favorite dessert. 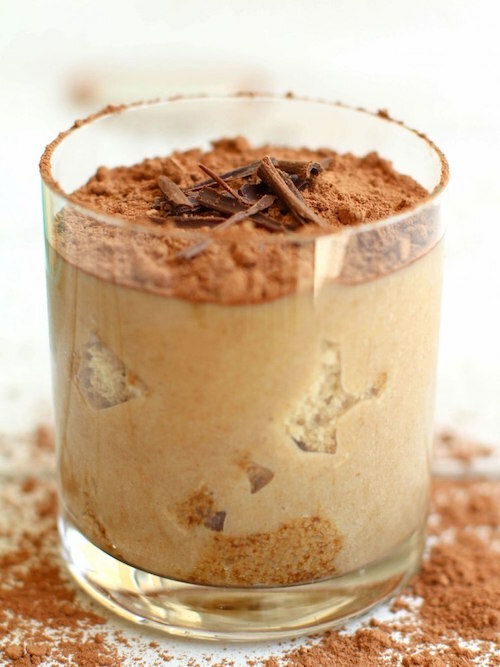 This recipe even offers a coffee substitution if you’re looking for less caffeine!